This integration will allow you to connect with Stripe and start collecting your data. It is a matter of minutes to send your billing and payments data to feed your BI, your data warehouse, or your custom analytics stack. 2. 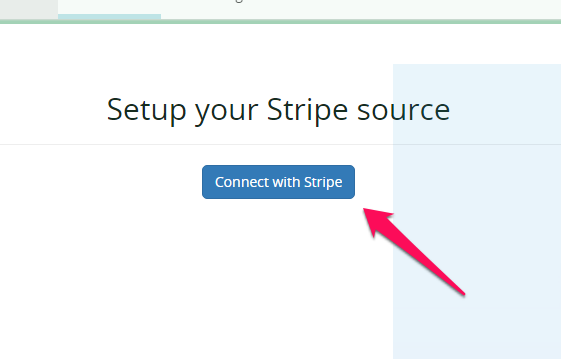 In the new “Setup your Stripe source” screen click on Connect with Stripe. 3. If you’re not already logged into your Stripe account, you will be prompted to connect to your Stripe credentials. 4. Click Sign in with Stripe to connect. 5. 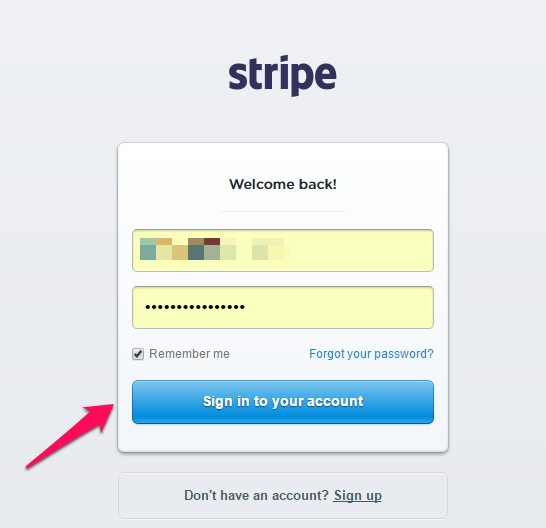 In the next page you may add your Stripe credentials to sign in and click Sign in to your account. 6. At the next page see if everything is OK and click Validate & Save. 7. Then you will return back to the home dashboard. 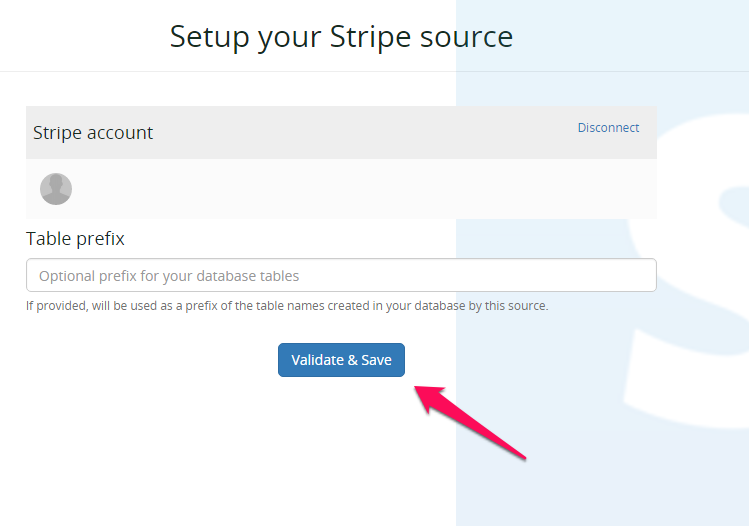 Click on your new Stripe data source. 8. 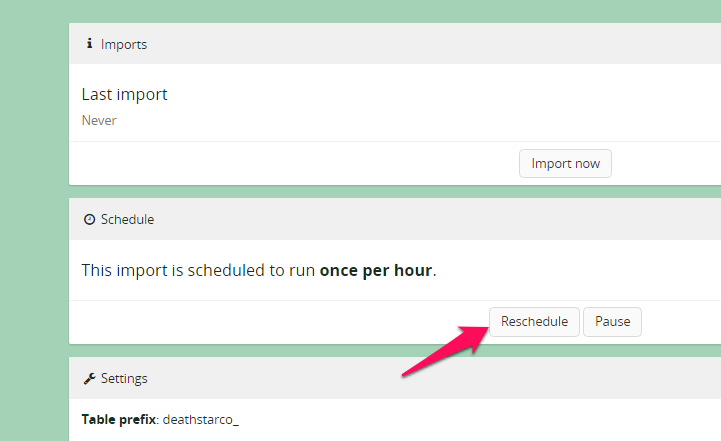 If you want to change the replication schedule go to the Schedule section and click on Reschedule. 9. In the next pop-up select one of the options available and click Apply. 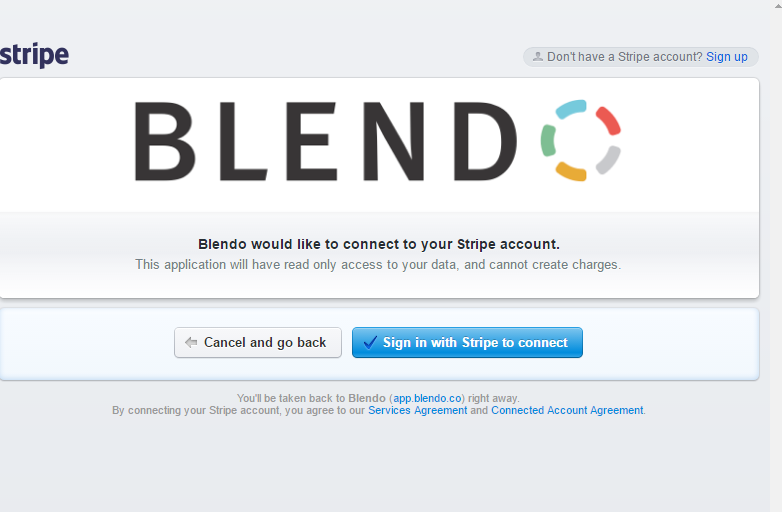 Blendo will start automatically to pull your data from Stripe. 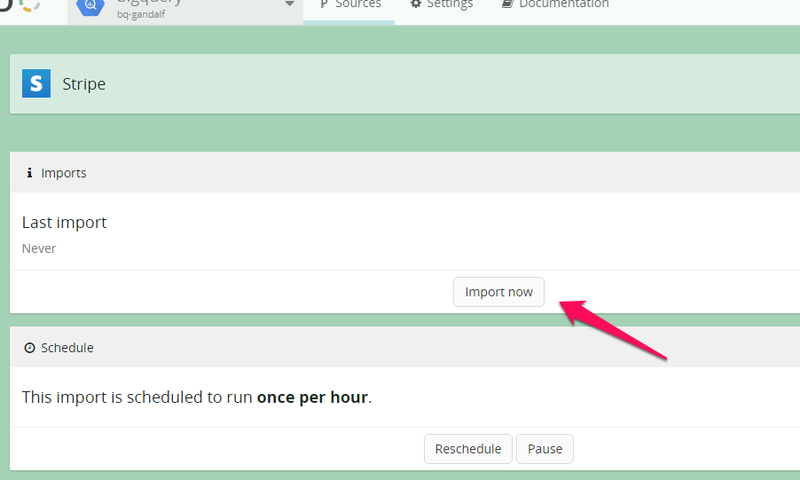 If you want to start the import process on your own just click Import now. Blendo will now connect to your Stripe data source. It will sync your historical data and all the future updates into your destination data warehouse. You will get analytics ready tables and syncs that make sure you will get recent and consistent data. When Blendo first connects to Stripe Data source, will pull all your historical data. Blendo syncs Stripe data based on the schedule and frequency you choose. 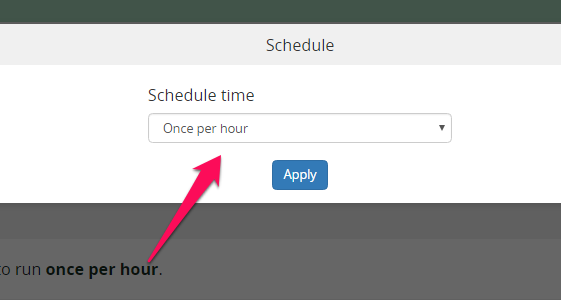 The default setting is every 1 hour but is configurable from inside the app. 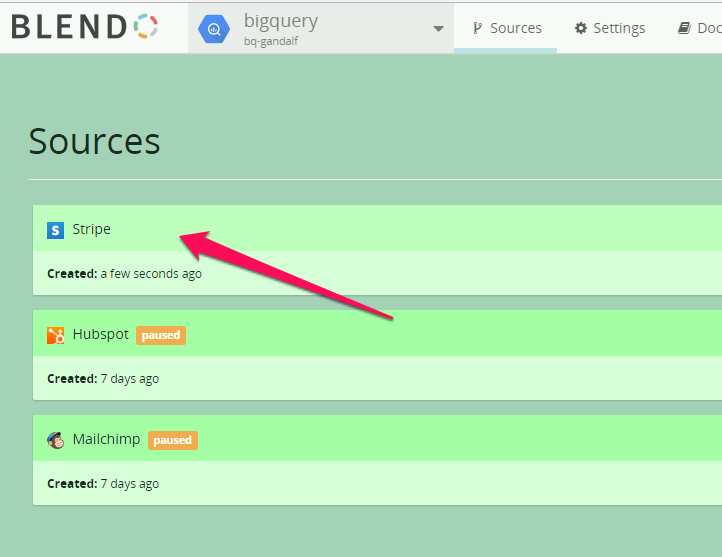 The first time Blendo syncs your Stripe data performs a full replication. Then your Stripe data is replicated incrementally. Note that Blendo will only read your data. After you finish the integration with Stripe, you might see its status as Importing from source, Exporting to the destination, or Completed. What Stripe data do I have available? Blendo will create a column for any of your custom fields and will sync it accordingly.